This standard steel frame marquee includes single sided print to 3 walls, the roof and canopy and carrybag. This 3m x 3m Portable Marquee is an easy erect High Tensile Aluminium Frame with 40mm hex frame. 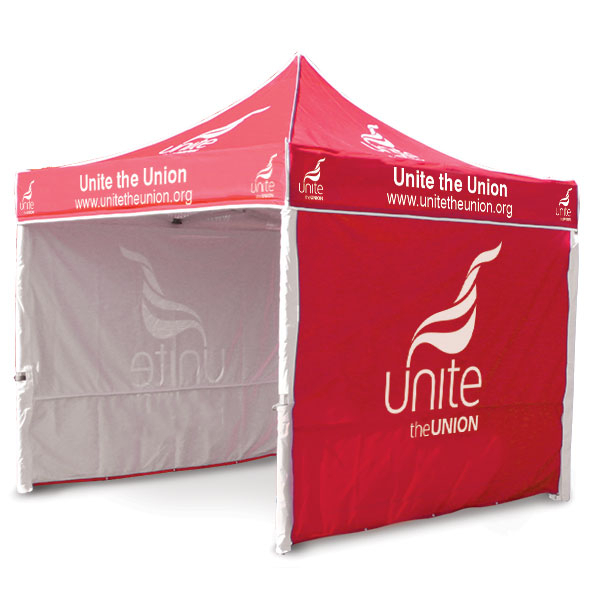 It is Weather Resistant, Flame Retardant 500 Denier Polyester canopy (including Soft Ground Erection Kit), Digitally Printed 3m Canopy Quadrant, Digitally Printed 3m Valance and Digitally Printed 3m Side.